The Colville people are the descendants of 12 bands of Indians that were settled on the Colville Reservation. The 1.4 million acre Colville Reservation is located in the northeastern part of Washington, bordered on the west by the Okanogan River and on the south and east by the Columbia River. 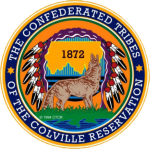 The Confederated Tribes of Colville is a land-based tribe with a primary seat belt law that is enforced by tribal police. Since 2009, Colville Native CARS has observed increased proper child restraint use. With the support of car seat observation data, where 98% of the participants said they would support a car seat law, a proposal was submitted to the Colville Tribes Code Reviser to add a Child Restraint Law. In August of 2011 a primary tribal child passenger safety law requiring child safety seats was adopted by the business council; allowing tribal law enforcement to stop and cite drivers if a child is not using any restraint. Observations conducted on the reservation in 2013 seem to indicate that the change to a primary law has maintained improved child restraint use achieved by Native CARS interventions used in 2010 and 2011. In May 2012 law enforcement training was held. In addition, there were five Child Passenger Safety Technicians (CPSTs) certified, who provide technical assistance to community members on the Colville Reservation by providing car seat education classes, appointments with parents or caregivers, and participate with other Child Passenger Safety Technicians in the area in car seat check up events, information booths, and CPS trainings. The Colville tribe, in conjunction with tribal police and Native CARS, successfully managed child safety seat distribution programs to get child restraints to families in need, including other caregivers and grandparents. Colville has also worked with WIC for many years to give rear-facing infant seats to new parents. In 2011, Native CARs was instrumental in the collaborative efforts with the Colville Tribes Traffic Safety Program in the documentary “Traffic Safety Successes on the Colville Reservation”, which won an American Indian Film Festival Award. In 2014, Colville Native CARS was nominated for a Native Research Network Community Research Award for the Colville Tribal Law Intervention. 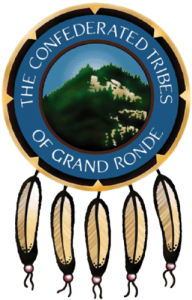 The Confederated Tribes of Grand Ronde were restored to federal recognition on November 22, 1983, having been terminated in 1954. Ancestors of the Confederated Tribes of Grand Ronde lived in the Willamette Valley, the surrounding mountains, and the northern portion of the Oregon Coast. In early 1989 the Tribes successfully acquired a 10,300 acre reservation, mostly timber lands, near the town of Grand Ronde in Polk County. The Klamath Tribes are located in Southern Oregon in the Klamath Basin. 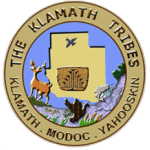 The Tribe has over 4000 members, consisting of the Klamath, Modoc and Yahoo skin tribes. Since the Klamath Tribes were one of the tribes terminated from federal recognition in the 1950s and later restored to federal recognition in 1986 they no longer have a reservation. In 2011 armed with the information obtained from observational surveys from the community it was found that the community needed more educational opportunities and programs that could provide access to acquire child passenger seats. Additionally, programming focused on bridging the gap for two areas: the distance to programming as well as income levels as the need for booster seats was a major focus for the region. Injury prevention concentrated on provided trainings that highlighted the importance of booster seats in 2012, then continued with tribal and community events such as health fairs and parenting groups. Native CARS partnered with elementary schools and Head Start programs, including the opportunity to directly educate children in these settings as well as offering classes for parent groups and booster seat education in the local elementary schools. Summer activity packets were given to children in partnership with the local summer recreation program. Media drew attention to child passenger safety through the use of community posters, brochures as well as community billboards. Continued intervention activities showed that providing opportunities to talk with people individually, travelling to secluded areas provided to opportunity to partner with other groups such as the Oregon Department of Transportation (ODOT) who were able to provide staff that are all Child Passenger Safety Technician (CPST) certified. Further concentration on the summer youth programs provided that Native CARS was able to help educate and ensure that all children were measured and given the proper car seats for transporting the children. Eventually, two safety teams were developed, one in Klamath Falls and one in Chiloquin, who met every other month functioning to share information about community events that Native CARS could attend to share information as well as provide another opportunity to certify further community members as CPSTs. Finally, the Community Health program utilized Community Health Representatives as CPSTs then begin their latest partnership, beginning in 2012, with local Head Start staff. The approximate 3,010 Nez Perce people belong to the Sahaptin linguistic group of Northwest Plateau Region. At one time, they occupied an area that covered North Central Idaho, Northeastern Oregon, and Southeastern Washington. Currently the reservation is 88,314 acres along US 12 east of Lewiston, Idaho. The Nez Perce Tribes Maternal Child Health sponsors a program that funds child passenger safety education for new parents. Upon completion of the six class series parents receive an infant car seat. The Nez Perce Tribe currently has 6 certified Child Passenger Safety Technicians. There are 3 housed at Nimiipuu Health on the Community Health side and 3 at the Nez Perce Tribe’s Children’s Home. The goal is to have School Resource Officers become CPS techs as well when they complete their POST training. The Nez Perce Tribes Community Health Department at Nimiipuu Health has built an excellent partnership with the Moscow Police Department (MPD); they collaborated together to help get seats to low-income families for a minimal donation of $20. In the 2013-2014 period there has been 125 seats that have gone out. They also partner with the MPD in doing community events such as the Officer Newbill Fair and National Night Out. Additionally, the Nez Perce Tribe has adopted the Idaho State Law, which is a secondary law with provisions for seat belts and child safety seats; tribal police enforces the law. All areas observed in this study were on the reservation. 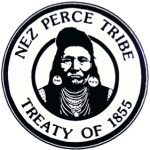 We are currently working with the Nez Perce Tribal Police and Nez Perce Tribal Court to get a diversion program in place on the Nez Perce Reservation. We are looking at different options of how to do this instead of having parents pay the $87 ticket as well as having to get a new car seat for their child. We are also working with the Chief of Police to change the tribal code and make the verbiage stronger for residents of Lapwai. Since Fall 2013 there have been 125 child safety seats distributed which serves to positively impact data from previous observations which showed a low percentage of families who had kids without any child passenger restraints in place. Beginning in 2014, Nez Perce has partnered with the Inland Northwest Car Seat Coalition and is moving forward to be a Safe Kids Inland Northwest Coalition. The Coalition combines 5 counties and is pooling resources together to help each other with safety fairs, car seat clinics, car seat checks, seat distribution, and training opportunities. Future work for the Nez Perce will include implementation of a diversion program that will allow parents one on one time to learn the importance of car seat safety. The Fort Hall Indian Reservation is a Federally-recognized Tribal reservation of the Shoshone-Bannock people. It is located in Southeastern Idaho on the Snake River plain north of Pocatello and comprises 544,000 acres over four counties. 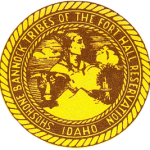 Approximately 5,854 people are enrolled in the Shoshone-Bannock Tribes. The Fort Hall Indian reservation is divided into 5 districts within their land, in which the land is owned by the Tribes or individual ownership. The Shoshone-Bannock Tribes have a child passenger safety program with two certified Child Passenger Safety (CPS) Technicians that currently work in the Health Education Program. Recently we have been able to certify 5 new CPS technicians, within other associated programs. Within this program infant, convertible child, and booster seats are distributed by the Tribal Health Education Program. A referral is made from Community Health Nursing Well Child Health/WIC and Indian Health Service, in which, they return this referral to Health Education and we determine which seat best fits the infant or toddler. The child must have a chart number or be eligible for Indian Health Service to receive a car seat. The Shoshone-Bannock Tribes are in the process of initiating a child passenger safety code and seat belt law. Health Education has been diligently team working with Fort Hall Police Department, Emergency Medical Services, Attorney, Early Childhood Program, Emergency Response Department, and the Highway Safety Officer to assist in this new code. The Spokane Tribe’s reservation consists of 154,000 acres in eastern Washington. The reservation is on the north bank of the Spokane river northwest of Spokane; the west end is directly across the Columbia River from southeast corner of Colville Reservation.rch and surveillance projects serving the Northwest Tribes. The Harborview Injury Prevention and Research Center (HIPRC) is a worldwide leader in injury cause and prevention research. Founded in 1985, HIPRC is affiliated with the University of Washington and Harborview Medical Center in Seattle. HIPRC’s faculty and staff are devoted to conducting research, education, and prevention programs aimed at diminishing the personal impact of trauma, and broadening the effectiveness of injury prevention and treatment programs regionally and nationally. Established in 1972, the Northwest Portland Area Indian Health Board (NPAIHB) is a nonprofit tribal advisory organization serving the 43 federally recognized tribes of Oregon, Washington, and Idaho. Each member tribe appoints a delegate via tribal resolution, and meets quarterly to direct and oversee all activities of NPAIHB. The mission of the Northwest Tribal Epidemiology Center (The EpiCenter) is to collaborate with Northwest American Indian Tribes to provide health-related research, surveillance, training, and technical assistance to improve the quality of life of American Indians and Alaska Natives. The EpiCenter is housed at Northwest Portland Area Indian Health Board. The EpiCenter is one of 12 national centers charged with collecting tribal health status data, evaluating data monitoring and delivery systems, and assisting tribes in identifying local priorities for healthcare delivery and health education. Since 1997, The EpiCenter has administered a number of successful health research and surveillance projects serving the Northwest Tribes.